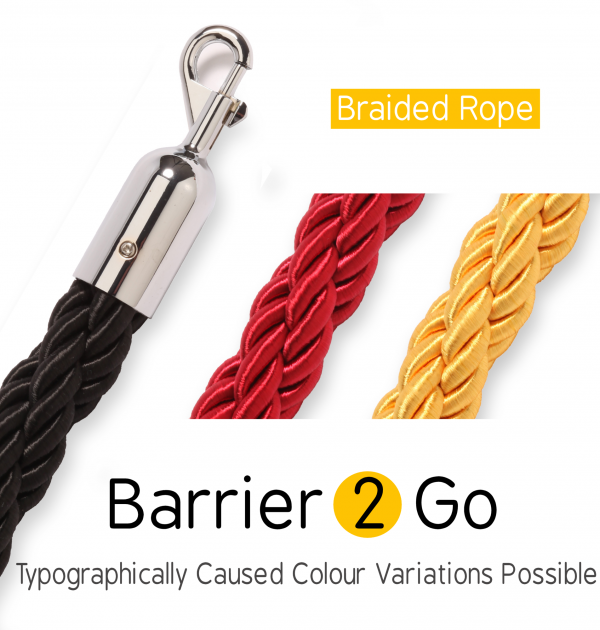 Our VIP braided rope is fabricated from hard wearing rayon. 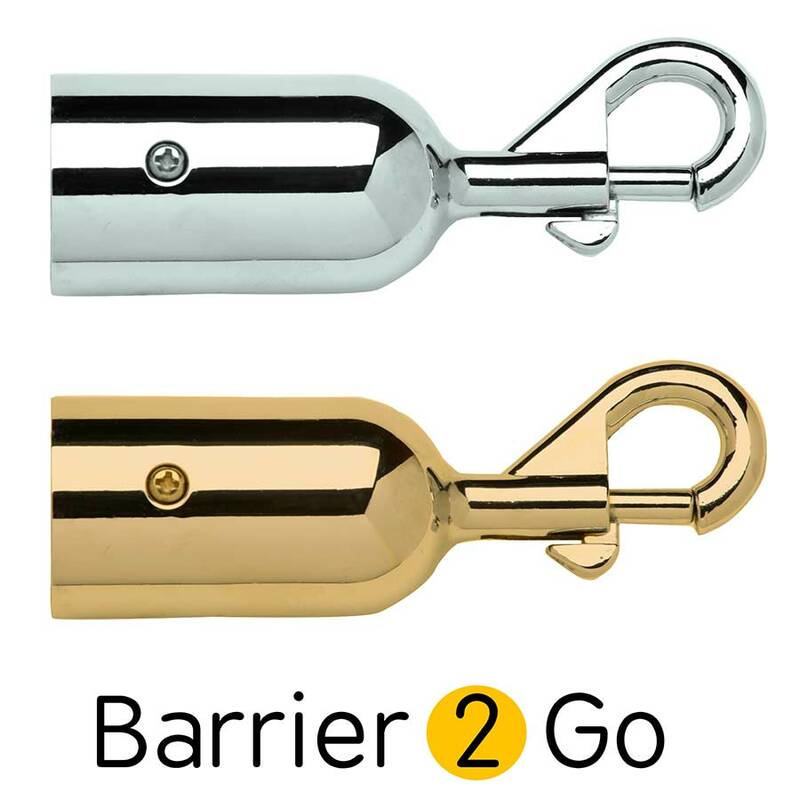 This provides a shiny smooth feel that accentuates a luxury finish. 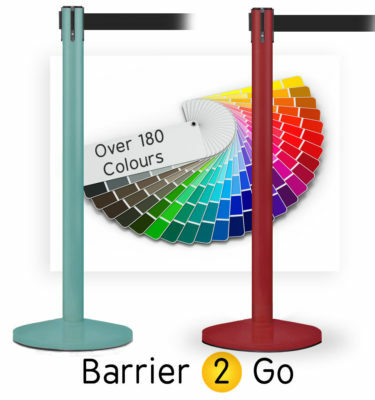 It comes in 3 popular colours, black, red and gold and 2 handy sizes of 1.8M and 2.4M. 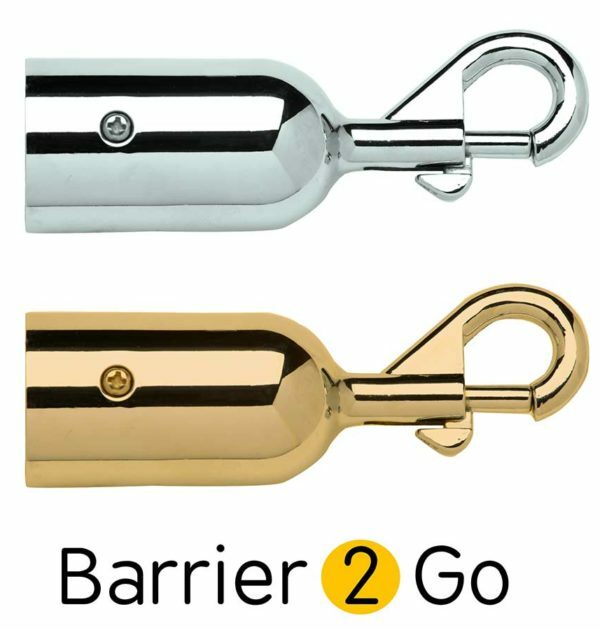 There is also an assortment of finishes with the standard slide snap ends to match your VIP barrier. 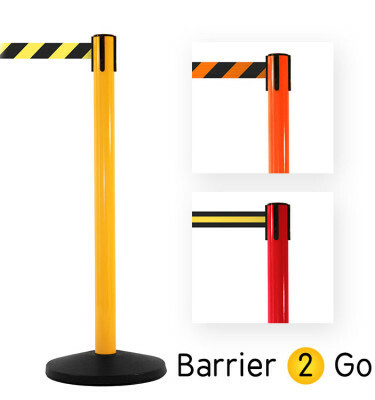 However other ends including hook ends are available upon request. 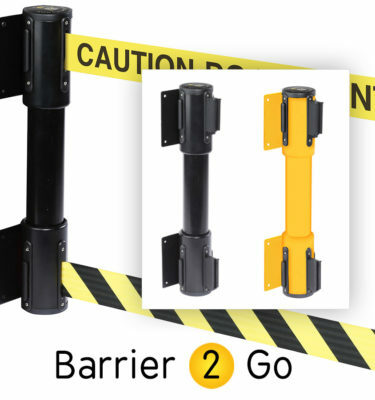 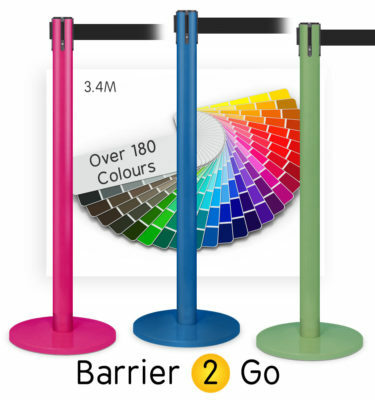 If you are purchasing custom coloured VIP barrier stands then you can also have the ends finished to match (minimum order quantities apply). 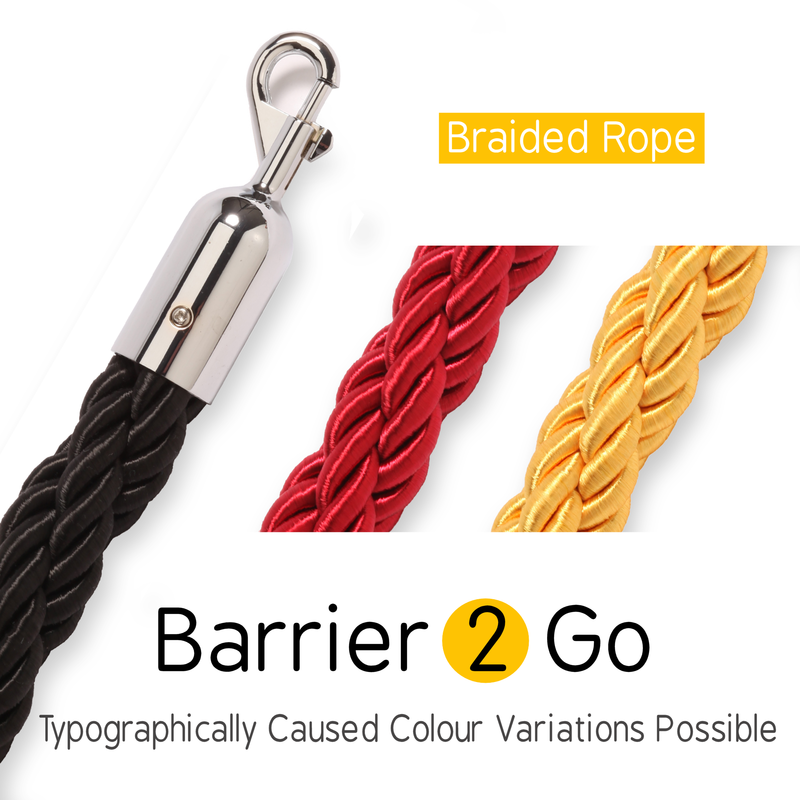 This rope provides a great solution for VIP areas at events, casinos, banks, hotels and museums.